A housewife redoubled in Cyriak Harris' "Cirrus"
Take a look at the terrific mini-documentary, below, on the subject of Conner's creation of that video. 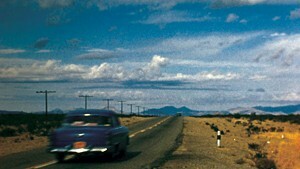 The video for that song (which is included in its entirety at the end of the YouTube clip) most assuredly laid the groundwork for "Cirrus," the video that is the subject of this essay. Part of what was cool about the early days of MTV is that the videos embraced past, present and future all at once. The past was embodied by these veteran avant-garde filmmakers who’d found a new, unexpectedly wide-reaching venue for their work; the present, by the acts who used this new channel as a conduit for some genuinely weird music; the future, by this bold new venture in cable television. It was a weird and wonderful time for unusual and challenging musicians and video artists. Hell, I’d argue that the video for Pete Shelley’s fantastic 1981 song “Homosapien” was, in and of itself, sufficient justification for the whole damn channel. I used to run around the house singing that song when I was 8. Weird. Anyway. I don’t watch much MTV anymore, and, like many modern viewers, am exposed to music videos only via YouTube and its ilk. And every now and then, I see one that, like its precursors, seems to exist at the crossroads of past, present and future. Though its 2013 production date makes it ancient in Internet Time, Cyriak Harris’ video for Bonobo’s song “Cirrus” is one that I return to often. Check it out below. It’s easy to point out how the video invokes the past. 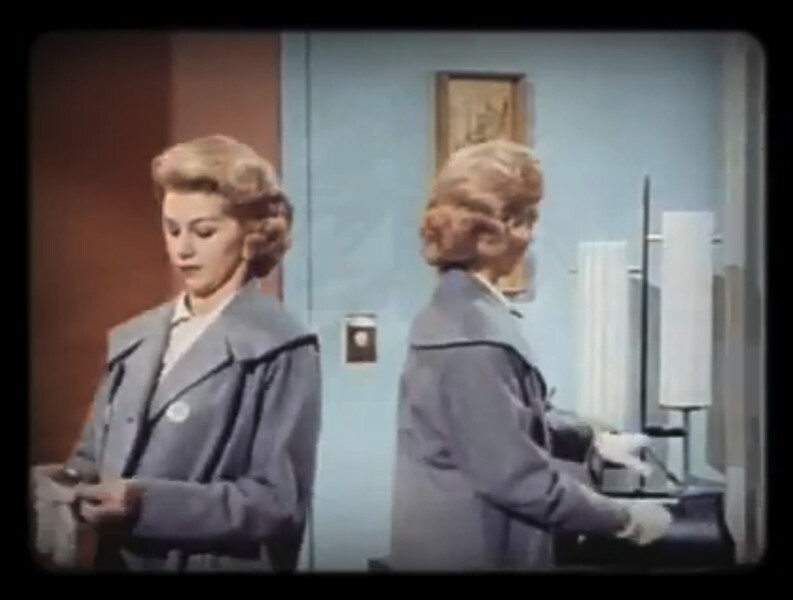 “Cirrus” was constructed entirely from images that were digitally culled from “American Thrift," a short 1962 film about the glories of American consumerism. It’s a totally mundane, laughably dated film that promotes, in the vaguest, silliest ways, the particularly American brand of consumer capitalism. You can watch it below, courtesy of The Internet Archive, which gets my vote for the single best and most important website of them all. When film archivist Rick Prelinger (whose film collection makes up a large part of the Internet Archive’s) came to Burlington last fall, as part of a program of the Vermont International Film Festival, he showed excerpts from “American Thrift,” as well as the entirety of “Cirrus.” Prelinger spoke of “Cirrus” as a particularly important example of the value of permitting unfettered access to our audiovisual past, the better, he argued, to forge a new audiovisual future. And, indeed, “Cirrus,” in its use of present-day digital technologies, does seem to point the way to the future of moving images, which will increasingly 1) be digital in origin, 2) “sample” the moving images of the past and, most importantly, 3) use the images of the past’s moving images to comment on that audiovisual past. The most brilliant thing about “Cirrus” is that it completely decontextualizes the images that it employs. “American Thrift” is a celebration of all things consumerist, but “Cirrus” is a strong, visually striking critique of American consumerism. Harris’ digital manipulation of the images emphasizes their utter banality, and his near-endless reiteration of those images evokes ideas of blind consumerist automatons. And so, as usual, context is everything: The very images that suggest one meaning can, when reworked, suggest exactly the opposite. That’s a pretty powerful idea, and it’s one of the reasons I return to “Cirrus” — and the rest of Harris’ remarkable oeuvre — often.